The Iraqi people have been devastated by wars, sanctions and terrorism, lives have been lost, families have been shattered, homes have been destroyed and the result of all this Iraq has millions of orphans, widows, disabled and refugees. World Wide Welfare was founded in 1993 and is a registered charity, a not-for-profit organisation aimed at rebuilding lives of orphans, under-privileged children, widows, disabled and refugees by adopting sponsorship programmes for all these groups; it provides donors with the opportunity to help transform the shattered lives in Iraq and other countries. Sponsorship covers the cost of healthcare, food, clothing and education. 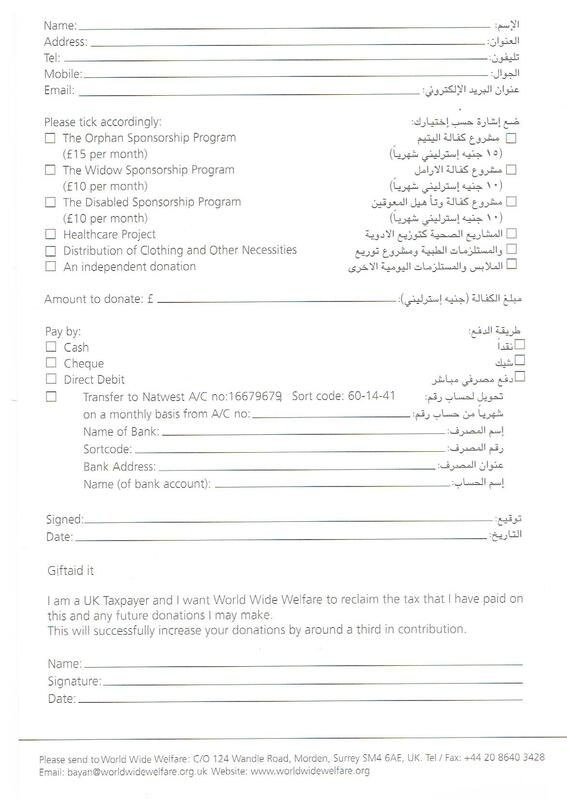 World Wide Welfare currently managed to find sponsors for more than 1500 orphans, 400 widows and disabled and thousands of refugees inside and outside Iraq. Our goal is to find more sponsors for the other 1500 orphans and widows on our waiting list. 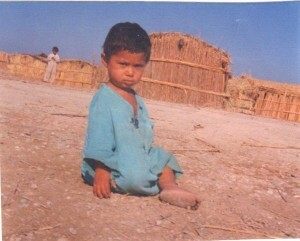 As time goes by the orphans are suffering in silence as they are deprived of many basic human necessities. Sponsor an Orphan and give them a brighter future; please fill in the form below and contact us to become a sponsor, and make a big difference to a little life.